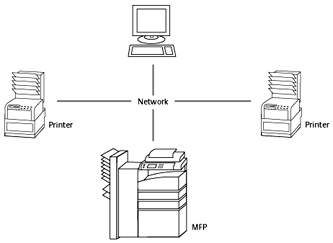 KMnet Admin is Kyocera's unified device management solution that uses a web-based platform to give network administrators easy and uncomplicated control of all network enabled printing devices. By using state-of-the-art technology, features can be added to KMnet Admin by installing software add-ins that give the administrator and users only the features that they require without adding additional complicated applications. KMnet Admin is web-based, so no client software installation is necessary.